Copyright: Entrants retain the copyright to images submitted and grant Urban Picnic and its sponsors and supporters a non-exclusive, irrevocable licence to reproduce, enlarge, publish or exhibit, on any media, the images for any purpose directly connected with the competition. 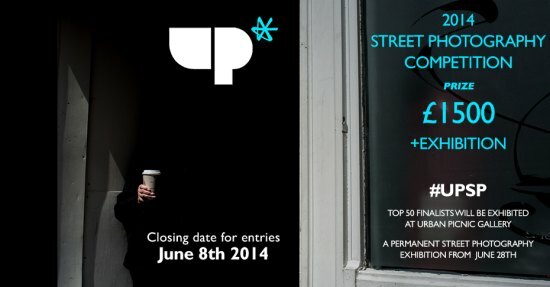 50 Finalists will be exhibited at Urban Picnic Gallery from June 28th as part of our permanent street photography exhibition. Judges: Nick Turpin and David Solomons. You can upload up to 3 photos based on a street theme. Online submission of digital photographs via the website.